We’re back!! We welcomed a beautiful baby girl to the world three weeks ago tomorrow. 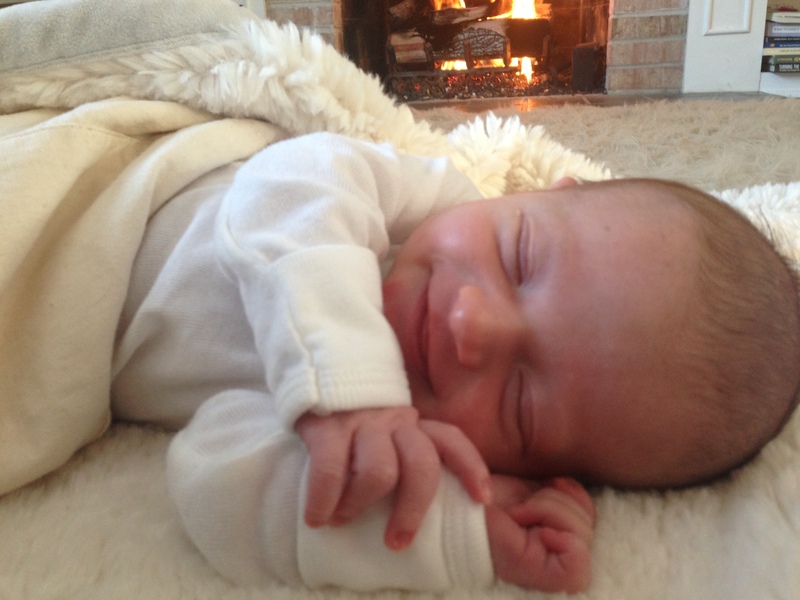 Here is a photo of our little bundle of joy, Kate, cuddling in front of the fireplace. It has been a whirlwind three weeks. It’s strange to even be back on the computer. 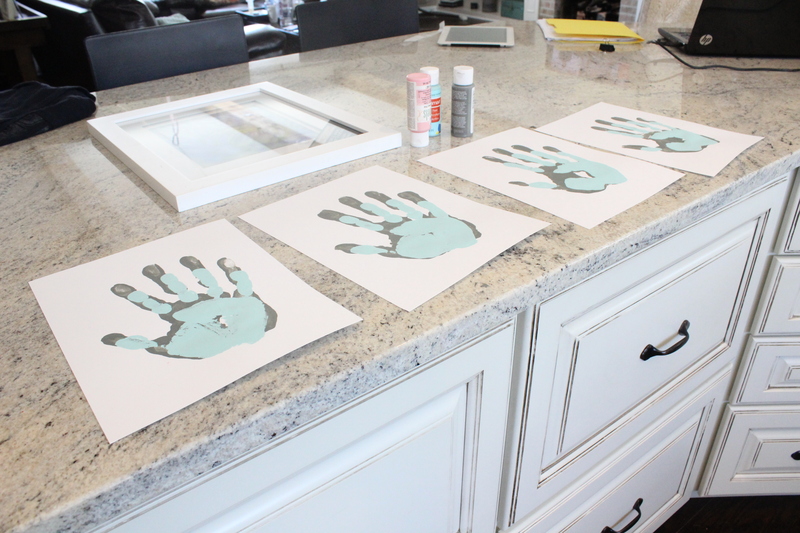 While DIY has obviously taken a back seat, we were able to do a fun little handprint craft project to capture this time when she is so tiny. To make it, I picked up three colors of acrylic paint, an 8 x10 frame and four pieces of white card stock from Michael’s. I made four versions knowing we might have trouble getting a good print from Miss Kate. It’s very important that the baby be asleep when you take their handprint. We tried it with her awake and just ended up with a clenched fist full of paint and a huge mess. Rookie mistake! With her sleeping, it was still a bit of a challenge but we got three good ones out of four. 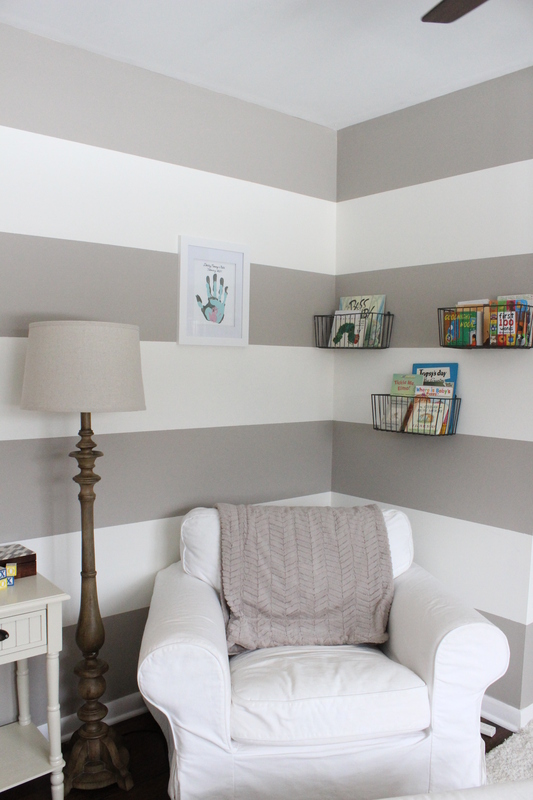 We hung the handprint art in Kate’s room above the rocker. Looking forward to starting on my next craft for Kate which is going to be something like this. I’m also going to have a final kitchen reveal and an update on the addition very soon! My daughter’s name is Kate, too! It’s actually Catherine, but she prefers Kate even though we called her CiCi when she was young. She’s a cutie. I love that button monogram! I’m thinking Christmas presents for family members.